The Importance of MHRA Approved Storage - LF&E! Home Blog The Importance of MHRA Approved Storage – LF&E! Storing pharmaceuticals and medical supplies is a serious business, requiring significant expertise to ensure that these vital items remain in perfect condition – even when they’re not on the road to their ultimate destination. There are a number of areas to consider when making your choice, and thankfully the MHRA has helped make it simple by signing off only on storage solutions which fit their exacting criteria. The MHRA stands for the Medicines and Healthcare Products Regulatory Agency, a UK government-led organisation which advises on and regulates safety within the medical and pharmaceutical fields. The body deals with everything from investigations to medical events and good practice, as well as inspecting premises and ensuring the enforcement of high standards in facilities where pharmaceuticals will be housed. There are various criteria which an MHRA-approved storage space must meet in order to ensure that sufficient health, safety and security standards are being adhered to. The body is part of the UK government’s Department of Health and Social Care, and is responsible for not only medicines but medical devices and associated paraphernalia. Adhering to MHRA’s regulatory standards is a legal requirement for companies which handle medicinal products, including in the area of storage – so it’s certainly something to take seriously while you plan your next move, just as you would seek out the highest standards of suitable, bespoke operating procedures with any partner company. The reasons why your company may require temporary storage in a third-party facility are numerous. Sometimes, it comes down to simple convenience – large stock production could otherwise lead to overcrowding, so it helps to have a safe space to store goods before they are shipped out. 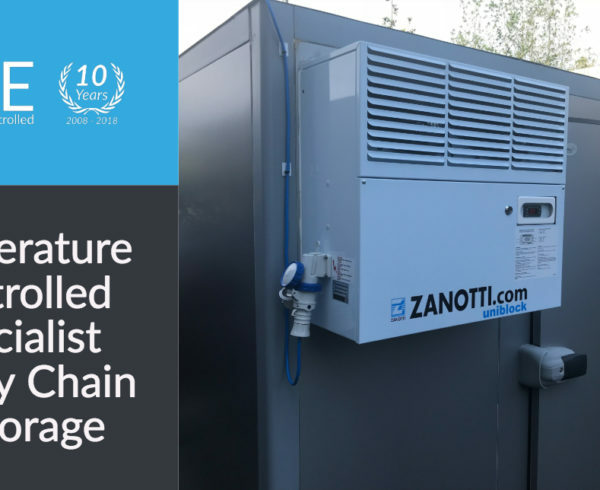 Other times, the storage facility is part of the transportation process, a key link in the chain which leads to delivery at a customer’s door. Dealing with medical supplies and pharmaceuticals is a complex endeavour, calling for high levels of synchronicity at every stage. 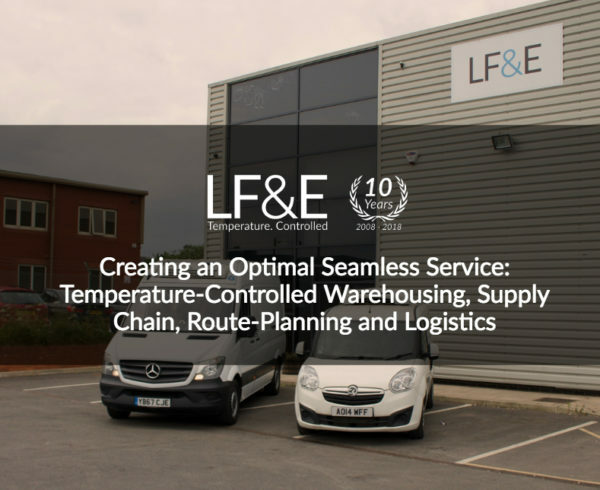 Whilst at LF&E we recommend streamlining chilled and ambient storage, warehousing and transportation procedures by using a single trusted partner, whether this is the way you choose to do things or not, the legal tie of the MHRA is here to stay, and a key element to consider during planning. Keeping patients safe is a key concern for pharmaceutical manufacturers and distributors alike and that means storing medicines in optimal conditions. 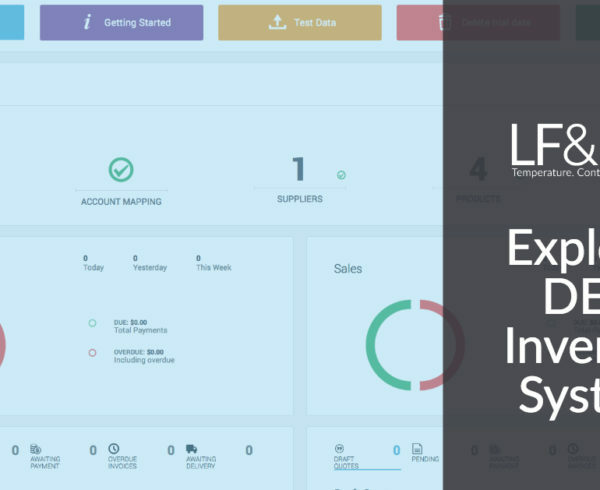 When an integrated approach is taken to chilled storage and transportation, manufacturers and retailers can rest assured that their goods are in safe hands throughout their journey. 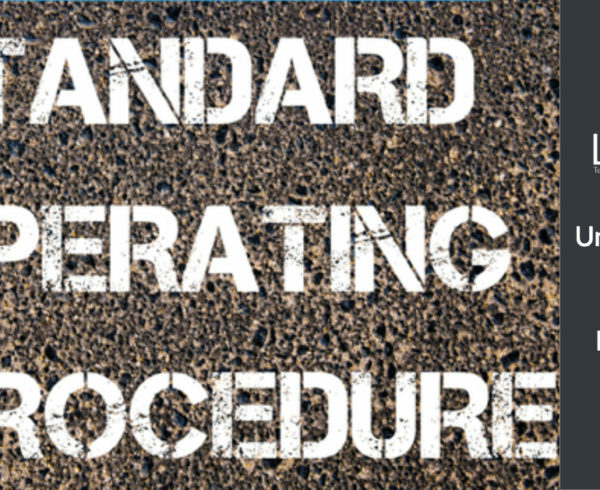 Whether you use a turnkey solution or opt for different warehousing and transportation solutions, nonetheless the same stringent standards must be applied to every area of operations. MHRA monitors for good practice across the storage and distribution lifecycle, as many medical products require transportation at specific temperatures which are carefully monitored and maintained. Pharmaceutical companies and wholesalers are expected to adhere to the MHRA’s strict guidelines to avoid endangering patients and degrading precious stock. Storing pharmaceutical products safely is about much more than simply keeping them cold. Security protocols – is the venue safeguarding against crime and theft, and are sufficient crime detection measures in place? Capacity – can the venue store a sufficient number of goods without compromising on safety and storage standards? 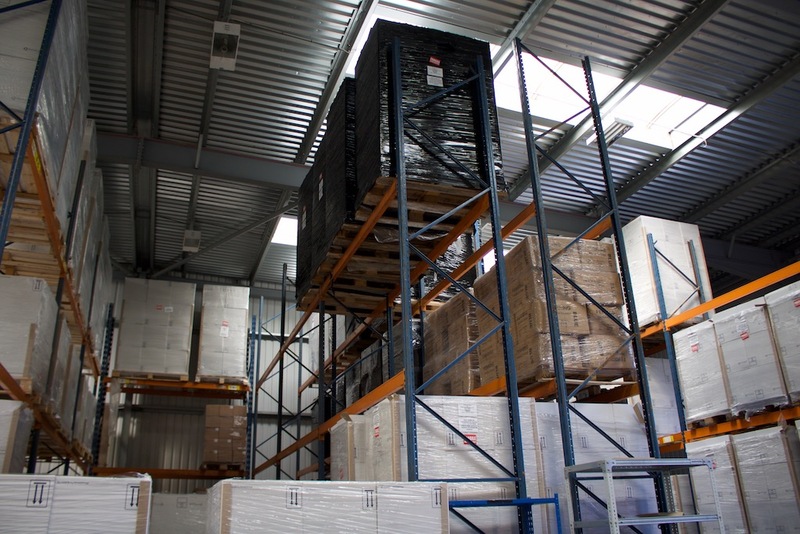 Refrigeration – are the fridges, pallets or shelving in the facility operated to the highest standard? Only once these elements have been checked, including assessing whether refrigeration is affected by variants in outside temperature, and assessing provisions with stock management and inventory systems, will the MHRA sign off on a venue. 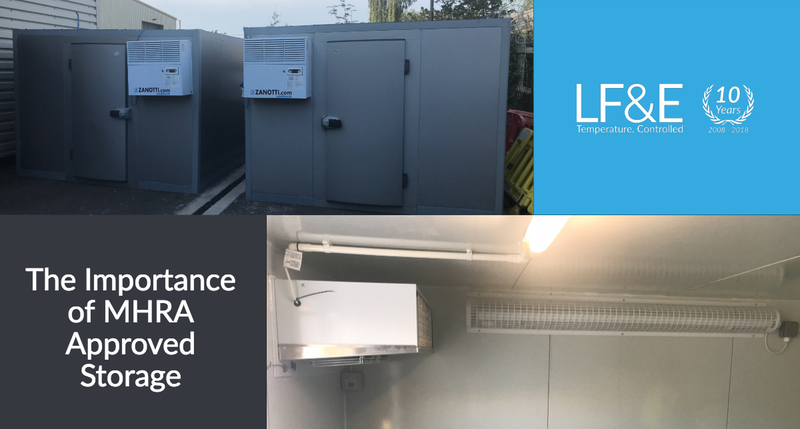 Whilst we don’t like to brag, LF&E are proud of our own MHRA approved medical storage – it’s a significant sign of trust and the excellence of our facility. 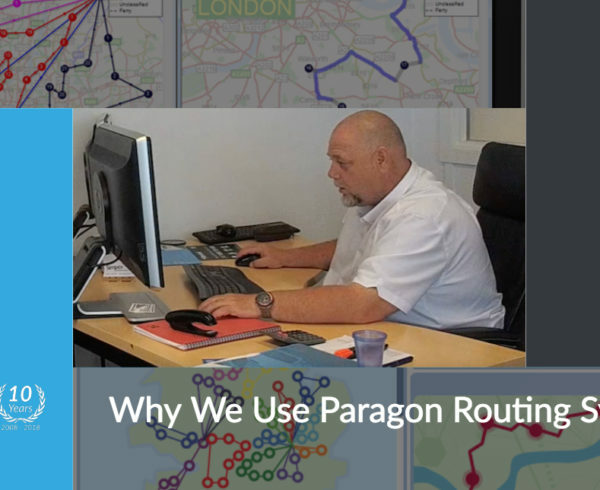 We operate humidity control throughout, and through mapping are able to offer the same consistent level of service to all of our clients. When choosing your next chilled storage partner, never assume that they operate to the same high standard as the MHRA expects – and don’t be nervous about asking to see evidence of MHRA approval. This is a vital element of keeping both your patients and your goods safe, leading to happier customers and an effective supply chain. Patient safety is at the heart of everything a reliable pharmaceutical distributor does – and this same ethos should apply to every single stage of the process from production right through to delivering the product. When storing (and distributing) pharmaceuticals and medical products, temperature control is one of the key factors to be considered. Whether frozen, ambient or simply needing to be kept cold, failure to adhere to these standards can result in products becoming unsafe, wasting resources, money and potentially endangering patients who are reliant on these medicines. MHRA approval is not only a key signifier that a chosen chilled storage partner is trusted and reliable, but is indeed a legal requirement to ensure patient safety throughout the UK. All the more reason to choose wisely when looking for your next warehouse-venue! Want to know more about storing and distributing pharmaceuticals safely and efficiently? Read our full guide or contact us today to find out how we can help.